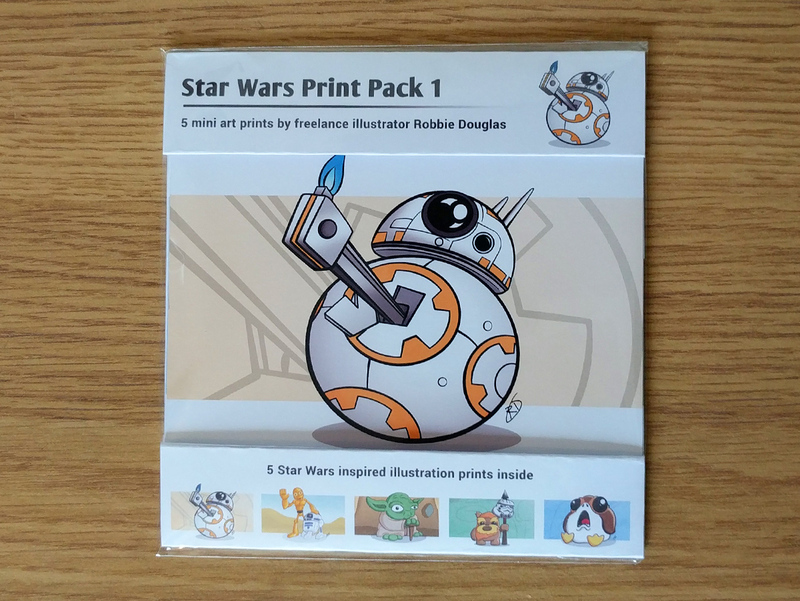 Star Wars Print Pack 1. 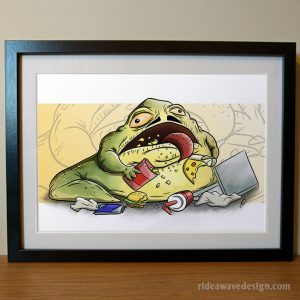 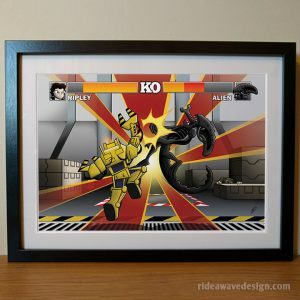 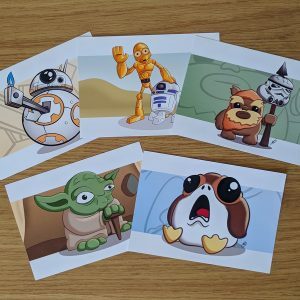 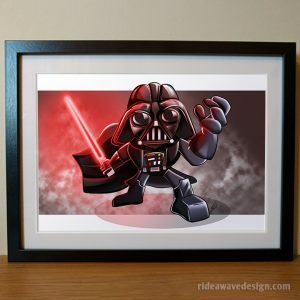 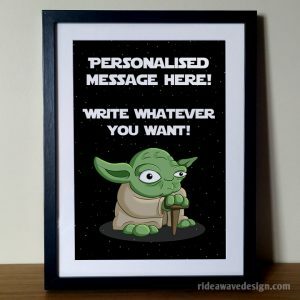 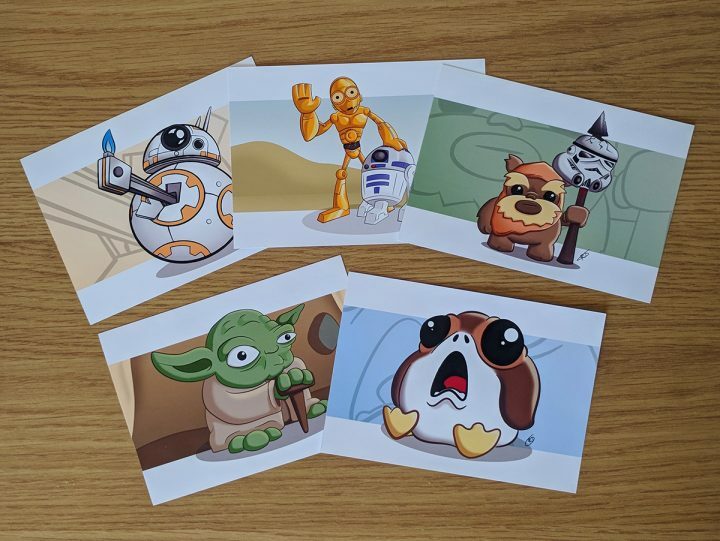 Contains five Star Wars themed art prints roughly 14.9cm x 10.4cm each. 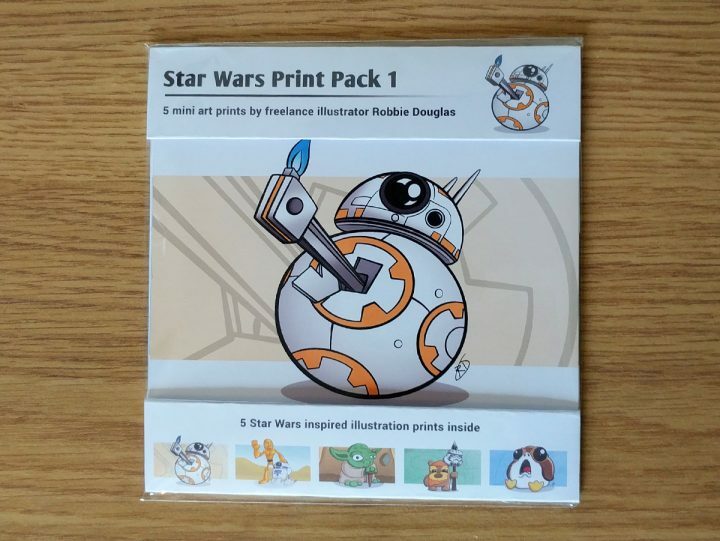 Pack contains: BB-8, C3-PO with R2-D2, Yoda, Wicket the Ewok and a Porg.